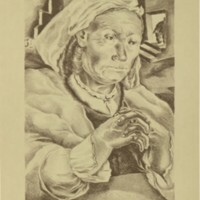 Woodcut titled, "The Coster Queen" with artist signature below body of print. 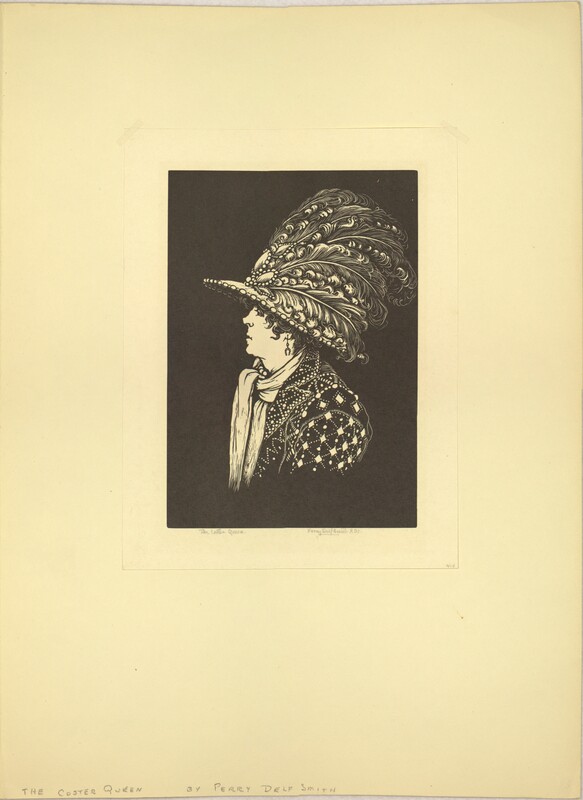 Woman wearing large, ornate hat with feathers. 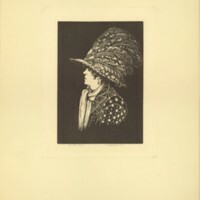 Smith, Perry Delf, “The Coster Queen,” Digital Exhibits, accessed April 22, 2019, https://cuexhibits.wrlc.org/items/show/40.